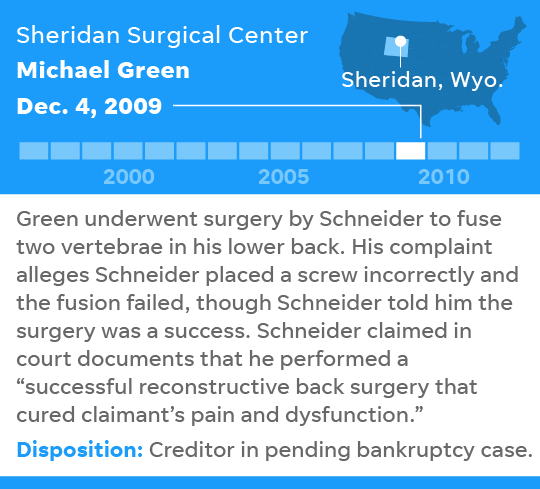 Neurosurgeon John Henry Schneider was hired in April by the Veterans Affairs hospital in Iowa City, Iowa, despite having racked up at least a dozen malpractice claims over 15 years, a USA TODAY investigation found. 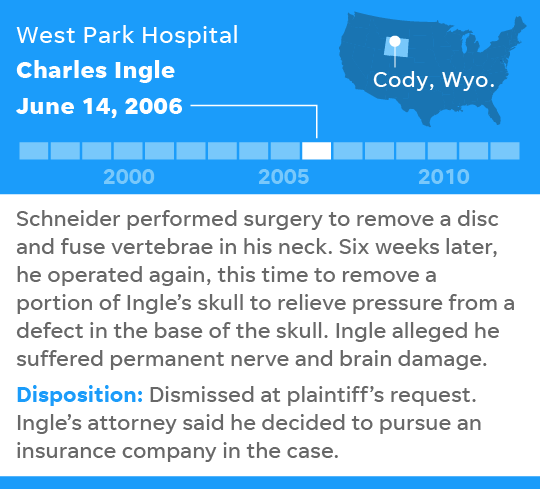 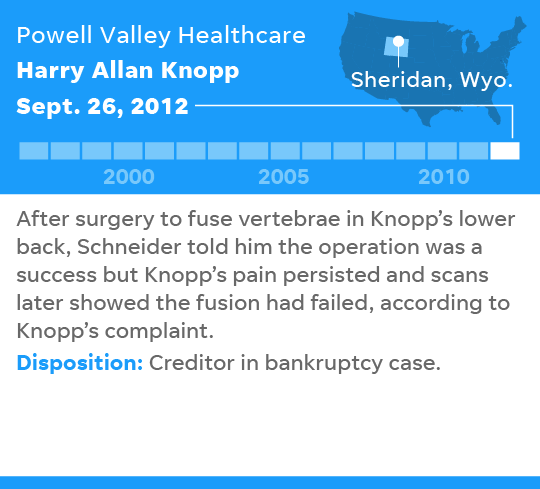 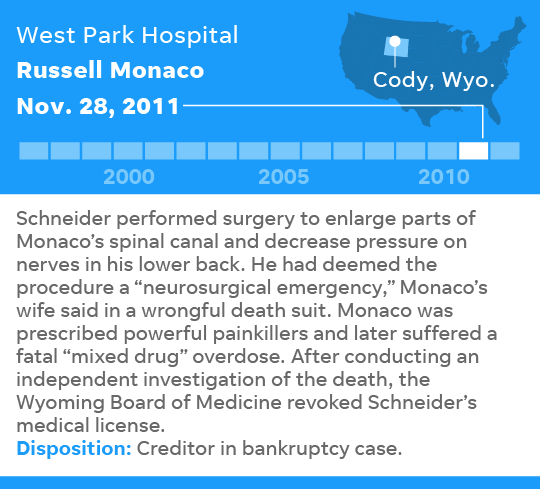 Wyoming officials revoked his medical license in 2014 after one patient’s death. 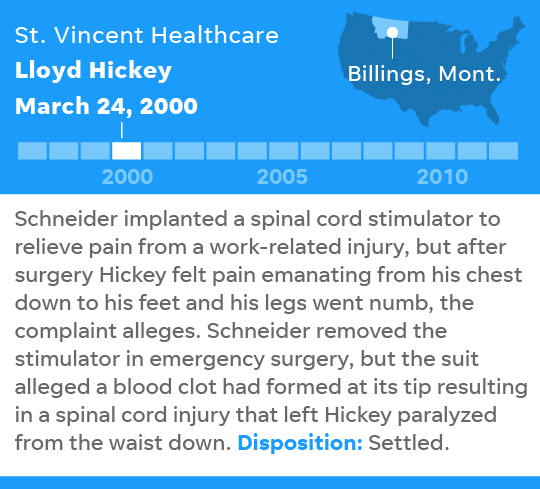 Schneider maintains he did not provide substandard care, and his insurance company settled some cases regardless of merit. 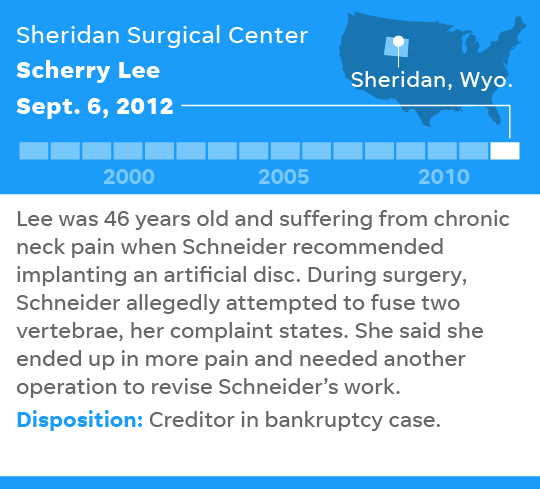 A trustee overseeing Schneider’s bankruptcy deemed some others valid. 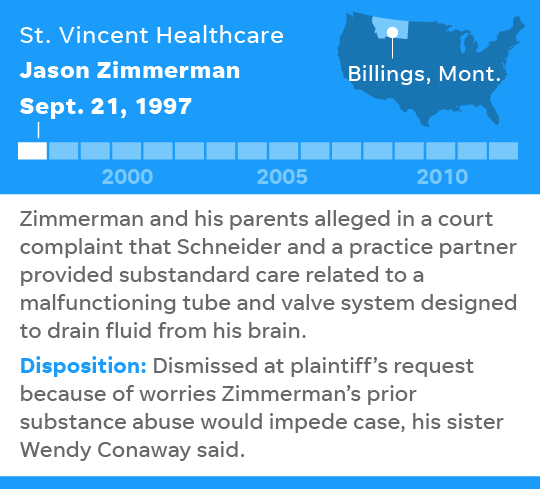 USA TODAY analysis of court records, interviews.